Good news for everyone enjoying playing darts yet being kinda unable to hit the target. 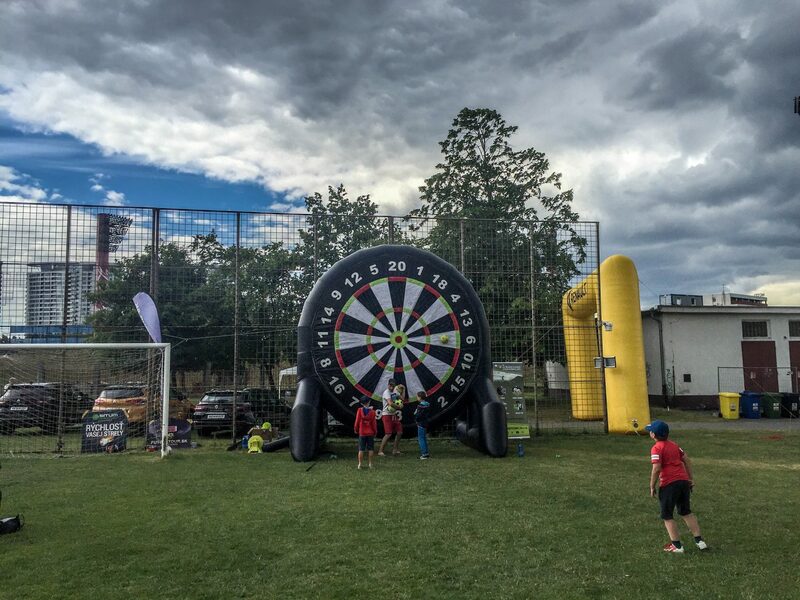 Maybe it is the pub environment, the dartboard hanging on the wall in front of you or simply your inaccurate hands what keeps you away from scoring, in fact it doesn’t really matter, because this time you aren’t gonna miss. 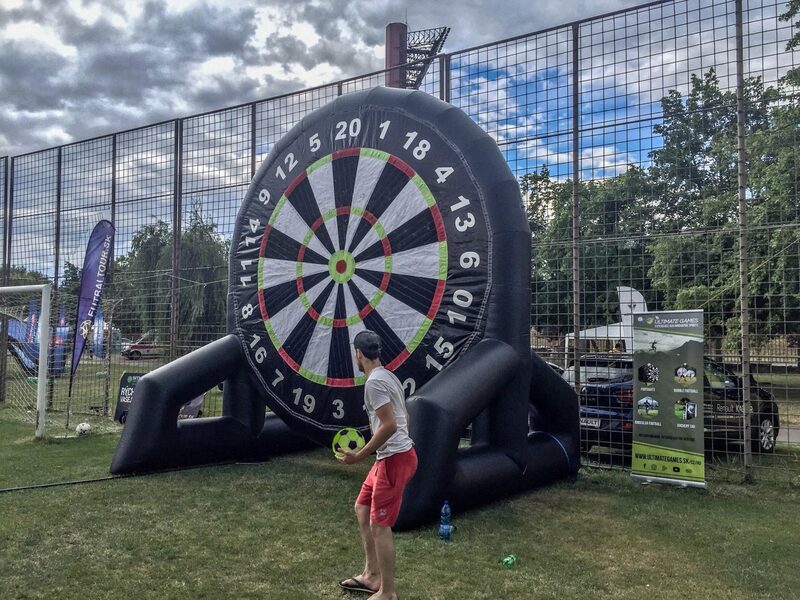 First, you don’t have to be irritated by the small dartboard, as there is a giant inflatable football looking at you. Second, if you have two left hands you will surely appreciate that you will be using your legs. Last but not least, even the worst football players should not miss the board. Bringing your excitement for winning and good mood will be just enough when coming by the private transfer, all other equipment as well as the instructor will be there at your disposal. Guess the 1-hour game will show who the footdarts king is!